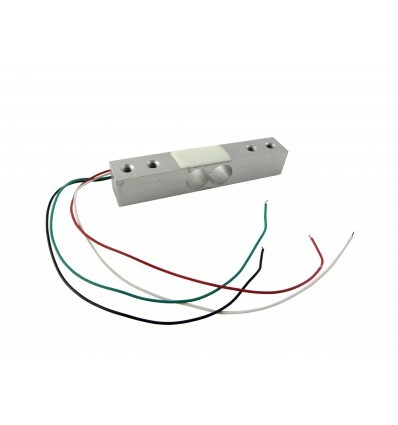 This 5kg Load Cell Sensor is great for building a small scale, with digital output to our HX711 Interface Module – Perfect for automated restocking systems. This is a 5kg Load Cell Sensor, which is essentially a small solid state scale with integrated strain gauges to measure the amount of force being applied in a specific direction. These strain gauges are basically tiny circuits which break in specific parts when pressure is applied to them, and the amount as well as severity of breaks along the micro-circuit determines the amount of force present. These types of measuring tools are primarily used for kitchen and jewellery scales, which typically need to be precisely accurate. However, because they are capable of providing digital output values, they can also be integrated into complex circuitry and automation systems. Such features enable Makers like you to build clever devices that automatically water plants when the soil becomes dry and light, or could even be used to monitor parts like nuts and bolts (or even just your favourite snacks) and automatically order more before you run out. 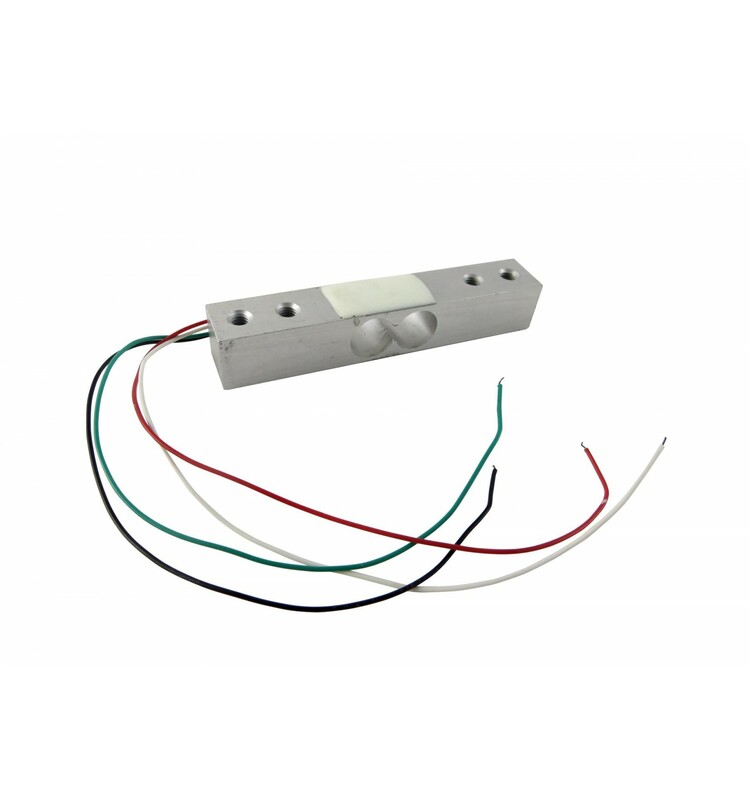 This load cell is ideally used with our HX711 Load Cell Sensor Interface Module, and is commonly purchased alongside our IoT Devices to build convenient automated stocking systems. In addition to building custom scales and measuring devices, some of our customers have taken these 5kg Load Cell Sensors to a whole new level and installed them on their shelves or in their cupboards underneath containers holding snacks, Nuts and Bolts and other small items. These sensors are then connected to “Internet of Things” (or IoT) Devices to track the remaining weight of the items in the containers and automatically order more when they are running low. This is the ultimate example of how these simple tools can be used to make life easier, and at such a low price, it’s an affordable solution to automating your parts (or snacks) ordering process.